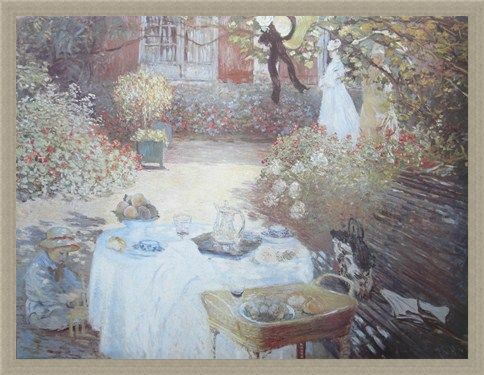 Art Print: A high quality print of the beautiful 'Lunch at Parigi' painted in 1874 by Claude Monet. The charm in this piece lies in the impression of spontaneity, left by the traces of family life which remain in the garden. 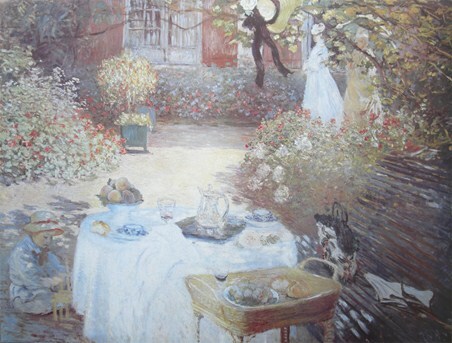 By the end of the meal the table has not been cleared, a bag and umbrella have been left behind on the bench and a hat hangs from the tree as if forgotten. In the shade by the table a young Jean Monet plays silently with a few pieces of wood. 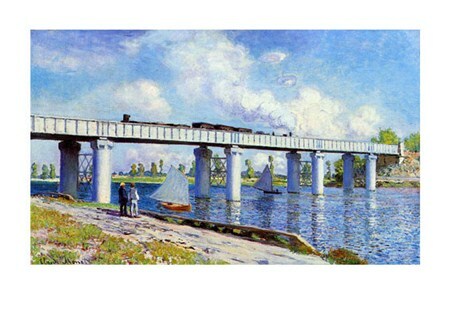 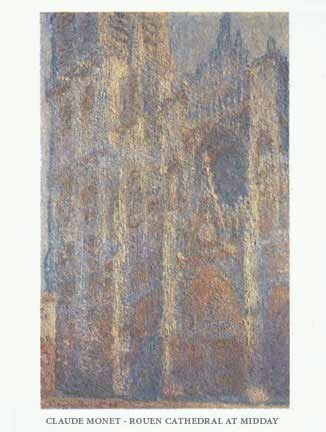 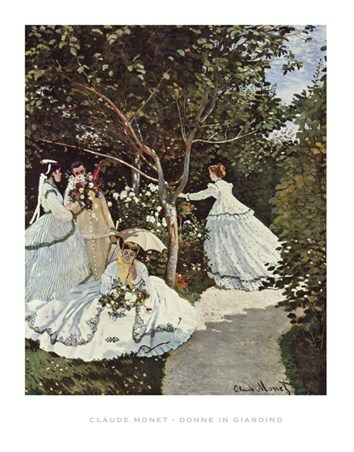 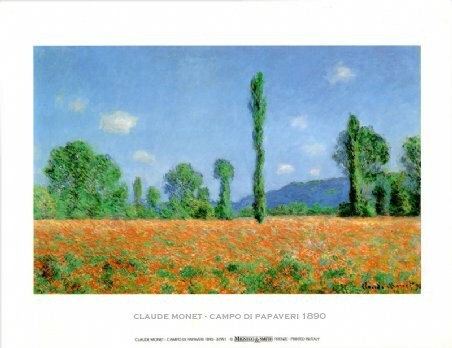 This painting is a wonderful insight into Monet's life that every fan should have in their collection and this print will look wonderful in any room it hangs. High quality, framed Lunch At Parigi, Claude Monet print with a bespoke frame by our custom framing service.